The IAR, in collaboration with the MPI for Ornithology, the bird ringing centre Hiddensee and the German Ornithological Society (DO-G), publishes the German journal "Vogelwarte". This journal has been published since 1945 and comprises four issues each year. Editorial duties lie with Dr. Wolfgang Fiedler (MPI), Dr. Ommo Hüppop (IAR), Dr. Ulrich Köppen (bird ringing centre Hiddensee) und Dr. Christoph Unger (DO-G). 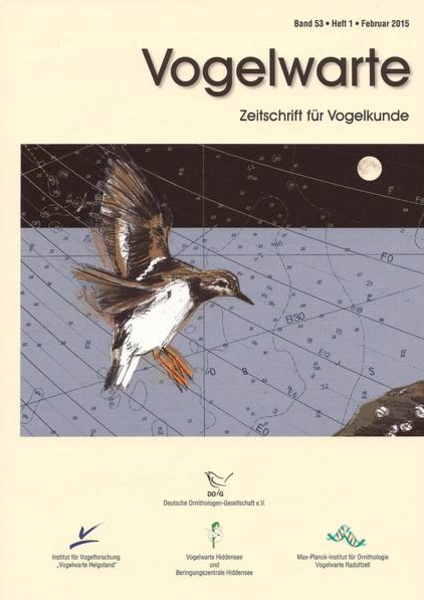 The "Vogelwarte" is free for members of the DO-G.